• Like Class A, static data will be broadcast every 6 minutes on alternating channels. A few fields, like destination, are missing but MMSI, boat name, call sign, ship and cargo types, ship dimensions, and GPS antenna position will all be sent. • Unlike Class A, dynamic data will only be broadcast every 30 seconds (if the vessel is going over 2 knots, 3 minutes if slower). Again some items, like rate of turn, are absent, but MMSI, position, COG, SOG, and heading (optional) go out. • Transponder power is limited to 2 watts, whereas the Class A max is 12.5 watts, plus Class B transmissions are ‘polite’. That’s actually a technical term meaning that the Class B time-sharing protocol (different from A’s, but that’s another story) will not slow down Class A in busy waters. • Class B transponders are required to have an internal GPS, which will simplify installation as thus the only hookups are power, the optional heading sensor, and data out to AIS plotting devices. The 18” SeaLinks SL162B, shown, is an interesting (antennas included!) example of what the transponders will look like. I’m told that several other manufacturers are raring to go. But there has been a recent change to the Standard that may slow down the Class B roll out and make the transponders more expensive, at least in the U.S. I’ll talk about that tomorrow, along with some noodling about what the above specs mean for single channel receivers. Your input is welcome, of course. PS A big thanks to Fred Pot and Lee Luft, an analyst at the USCG R&D center (and an important figure in the development of NMEA 2000), for educating me about Class B. It’s odd that the comfy resort we shared breakfast in week before last is now closed due to Wilma. The latest on the Ft. Lauderdale show, by the way, is postponement to Thursday, Nov. 3, putting my Monday morning prediction almost on the money. 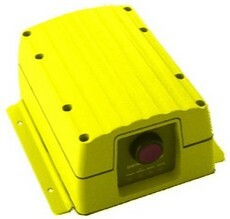 We at Y-tronic are currently finalizing our Yacht-AIS Software for use with Class B Transponders. 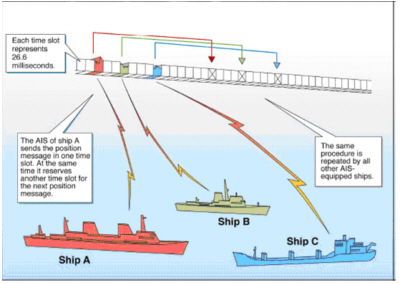 The software will, additional to the capability of displaying AIS data including calculation of CPA and tCPA, be able to input ship static and voyage-related data (ships name, callsign, ship’s dimension and type of ship and cargo) into the Transponder. Additionally it will enable the user to exchange short text messages with other stations. I tried to post something meaningful, but once again the weblog rejected it.